Budapest, violin: 7. 7. - 13. 7. Born in Győr, Hungary in violinist Sándor Jávorkai received his first violin instructions at the age of three from his father and already performed in public at the age of five. He first studied at the Franz Liszt Academy in Budapest under Prof. Ferenc Halasz and subsequently transferred to the class of Prof. Michael Frischenschlager at the University of Music and the Performing Arts in Vienna, where he graduated with distinction in 2004. He is currently pursuing a doctorate in musicology in Vienna. 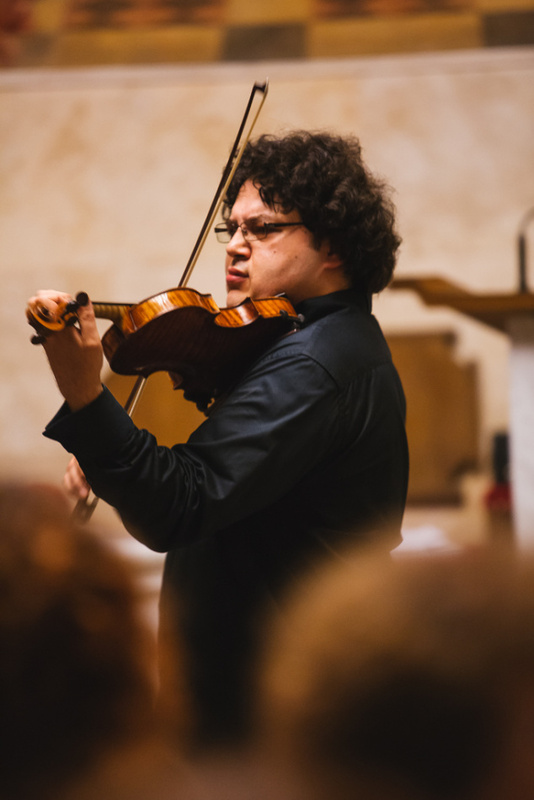 He has participated in master classes with internationally renowned artists, including Isaac Stern, Tibor Varga and Vladimir Spivakov, as well as György Pauk, Lorand Fenyves, Stefan Ruha, Ferenc Rados and Vera Vaidman. As concert master, Sándor Jávorkai has played under the baton of Mariss Jansons and Marcello Viotti at the International Orchestra Institute Attergau, under the patronage of the Vienna Philharmonic. In addition, in 2008 he performed as concert master and soloist with the Europe Philharmonic. As a soloist, he has concertized with renowned orchestras. Concert travels have led Jávorkai throughout almost all over the world. His rendition of Niccolo Paganini’s 1st Violin Concerto in E-flat major, Op. 6 was received very positively. Together with his brother, cellist Adam Jávorkai, he recorded the Brahms Double Concerto and Camille Saint-Saens’ Introduction and Rondo capriccioso with the Győr Philhar­monic Orchestra, conducted by Adam Med-veczky. 2003: together with his brother Ádám Jávorkai, 1st place at Kodály Competition in Semmering, Austria; 2009: together with Ádám Jávorkai, named Artist of the Year by Jeunesse and Bank Austria.